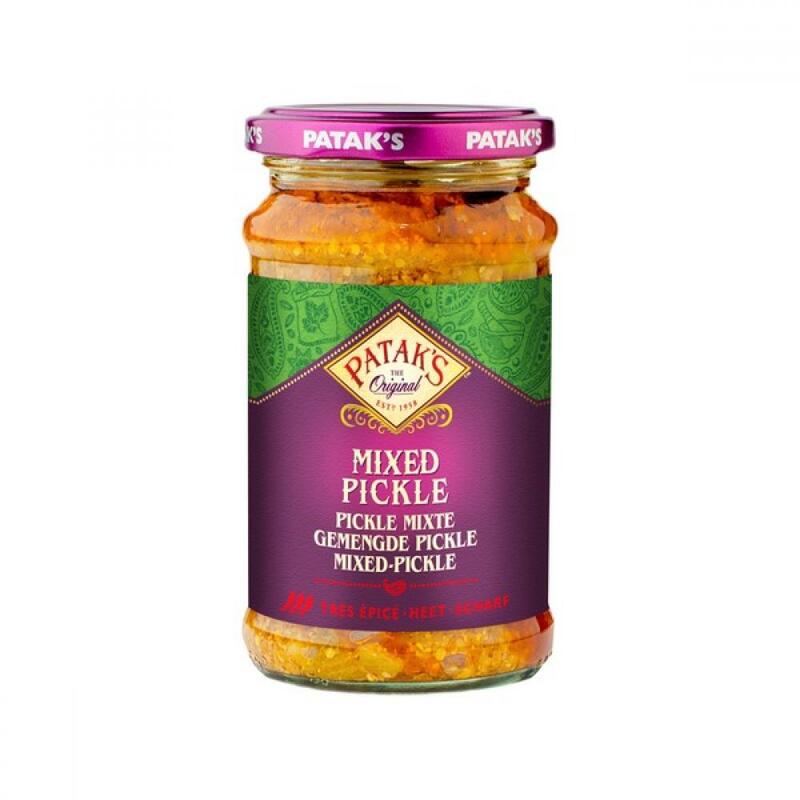 Patak’s Mixed Pickle contains two of the most popular fruits used in Indian pickles - Mangoes and Limes – combined with the exotic Karamda (a sour, green Asian fruit) and aromatic spices. It has been prepared using a traditional, tried and tested recipe. Every juice bite of this delicious pickle is truly delightful and the perfect accompaniment with rice, curries or parathas.